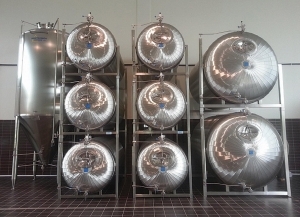 Specializes in the design and construction of stainless steel tanks for the beer industry. Made of the finest AISI304 and AISI316 stainless steel, and in accordance with all EU standards. Sizes range from 300 to 200,000 liters and tank diameters range from 630mm (25”) to 4700mm (185”). Tanks can be supplied plain or insulated, thermo-conditioned (hot/cold), with features for mixing and washing, with smooth interior finishes and plain, marble or satin exterior finish. 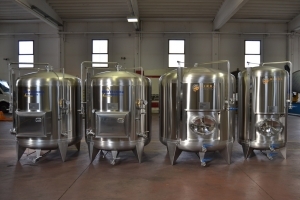 Because these tanks are handcrafted and made to order, InoxTecnica Veronese is able to meet any customer’s unique requirements.